Bright and Cheerful! 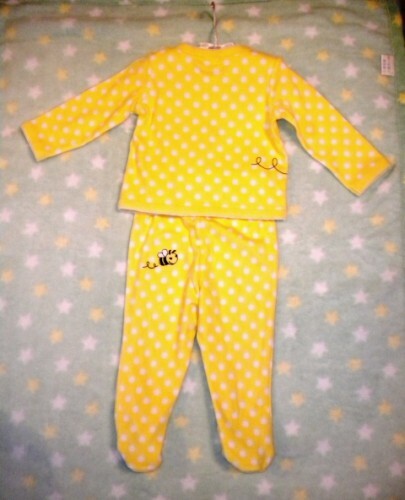 Yellow with white Polka Dots! 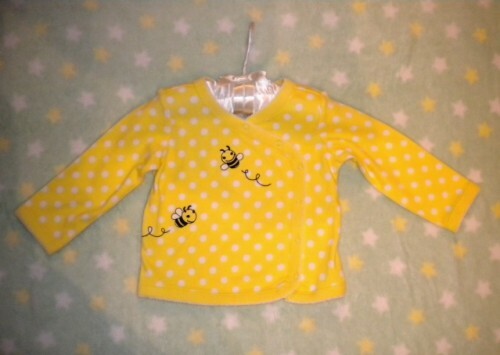 Two piece outfit includes long sleeve shirt with side snaps, detailed trim and two little Bumble Bees, plus footed pants with a Bumble Bee on the back!